Lucky Dog takes pride in working with our customers to achieve there goals no matter how big or small. We are looking for that long term relationship with each customer by providing friendly advice, quality service, all at a fair price. Lucky Dog understands that you expect the best from your investment. We make sure the job is done correctly and if issues come up we are proactive in trying to resolve them. We offer free re-torques of suspension components at the manufacture suggested intervals and assist the customer with warranty issues when needed. Lucky Dog stays abreast of the latest trends and product and is a member of SEMA the largest aftermarket industry organization. We use use these connections to make sure we have the latest products, tools, and knowledge of the off road industry to bring to our customers. ​​The results of our work is proudly displayed in our 5 star ratings on both Google and Facebook. We are also an active member of the Rocket City Wranglers jeep forums helping the North Alabama off road community. Most 4-wheel drive rigs often see hours of rigorous use, whether it is a truck used everyday at the construction site, or a Jeep out for some weekend fun with the family. It is the extreme demands of larger tires, heavier loads, and punishing use that cause suspension components such as tie rod ends, ball joints, and wheel bearings to wear out. 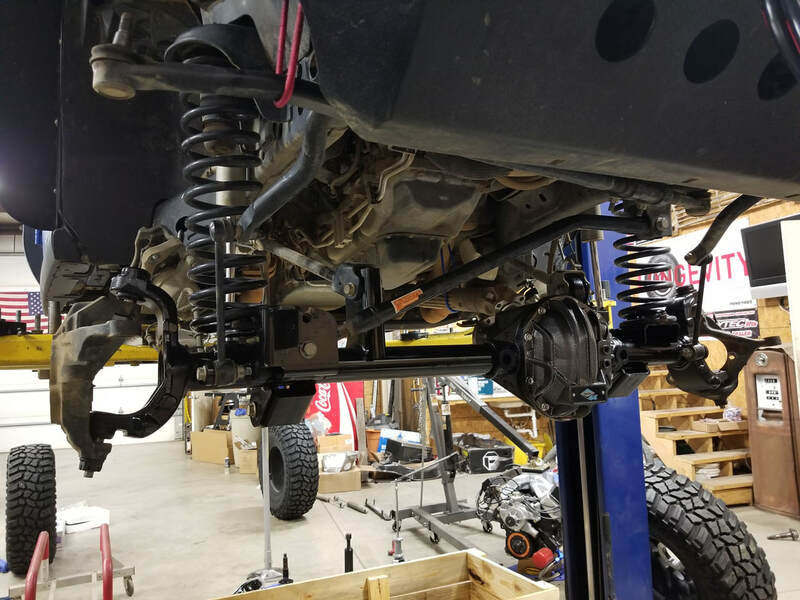 We have the experience, knowledge, and tools to efficiently diagnose and repair adverse handling conditions that drivers may experience when it is time to upgrade or replace those worn out suspension parts. ​Have you ever experienced the dreaded Death Wobble? How about Bump Steer? These are common repairable issues that many 4×4 owners deal with, often on rigs that have been modified. We are very familiar with these problems and have developed specific troubleshooting procedures to diagnose these scary and annoying handling concerns. The right wheel and tire combo can make all the difference in how your ride drives and operates, as well as the overall look of the vehicle. ​We have access to hundreds of styles and brands of wheels and tires as well as many sources that have next day delivery. ​Whether you need an aggressive off road setup with bead locks, or are just looking for a unique look for driving around town, we can help! We are an authorized SuperChips dealer and can help you get the right tuner for your application to make sure that your new lift rims and tires is calibrated to your vehicle for proper speedometer readings and performance. Have you noticed your steering getting loose? Are you seeing a wet spot under your Jeep or truck? Are those lights on the dash annoying? We have the capability and experience to perform most general automotive repairs. 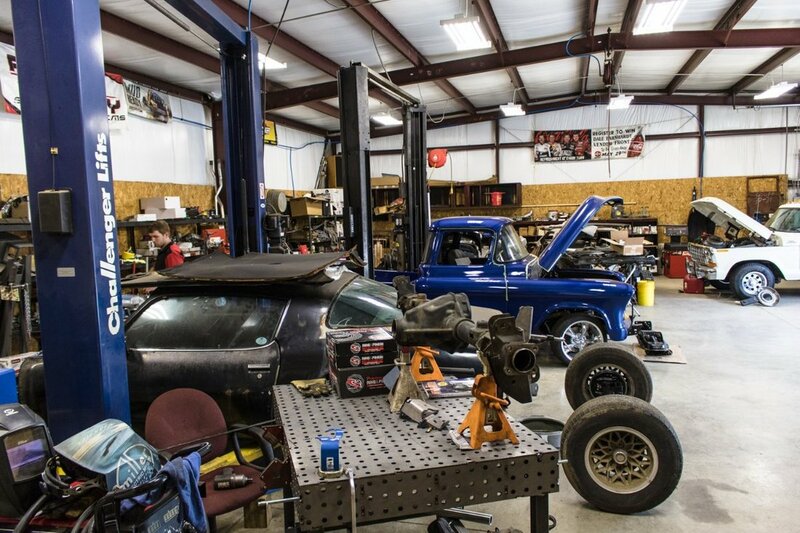 We house many different specialty tools needed to fix most Jeeps, trucks and 4x4s. looking to get your vehicle re-geared? we have both the tools and expertise to do the job correctly, with the highest quality parts, and lubricants for years of trouble free operation. Ask us about our optional lifetime warranty for your ring and pinon parts. Lucky Dog Off Road are the experts in suspension, leveling, and lifting. Whether you are having issues with your current installation or looking for your first lift, we want to help you understand your options. ​Choosing the correct suspension manufacturer for the best lift kit may seem daunting & difficult. We are experienced with many different manufacturers and can provide the best suspension for each client. There are many innovative lift kits available to increase offroad performance, while maintaining friendly on-road manners. We understand the compatibility issues as there are thousands of different manufacturers making many different parts for your rig. We provide the expert knowledge and insight to implement your ideas and goals for your Jeep, Truck or 4x4. The entire crew here is passionate about the 4x4 & offroad industry because we focus on maximizing the utility of your vehicle. For some that means finding that perfect new hunting spot, for others it means reaching your favorite back-country camping location. Lucky Dog can handle most all your auto upholstery needs. From seat repair, to complete re-upholstery of your vehicle. Lucky Dog can customize your vehicle using the highest quality materials to meet your needs and design vision. We now carry a full line of Automotive carpet, Mats, and flooring at very competitive prices that are made to fit your car. Give us a call to configure your car or truck.